I have not seen this movie and you do not need to watch it in order to do this study. The Song has not been mentioned in the study and we are on week 4. That being said, when it came up for review I was not interested....until I saw the author. I am a huge Kyle Idleman fan! We have done most of his studies and he always has a great point to make. So I went ahead and decided that this was something that we could do. It's difficult for Chance and I to find time to do a Bible study together or find a study we enjoy. This devotional study is perfect for married couples and more in depth than other marriage studies I have done. 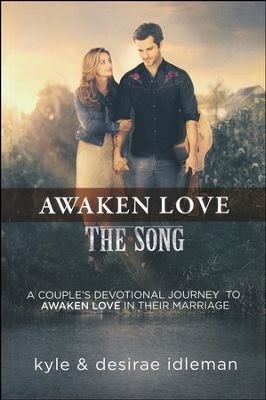 Each day you read from Song of Songs and proceed to read two pages that Kyle and his wife write together. Their stories are interesting, just the right length, and create good conversation with your spouse. There is a question at the end of each day that has been really fun to do because it gives us an opportunity to look at our relationship and talk about things. I can't recommend this study enough! If you are looking for a good marriage study this one is very good. As I've said before, you do not have to watch the movie The Song in order to do the study. Propeller Consulting, LLC has been generous enough to offer one of my readers this devotional study paperback copy free! U.S. and Canada only please. Keeping my fingers crossed! Thank you for the giveaway!